Global Wealth Trade is a Canadian Direct Selling Company and Designer of High End Jewelry and luxury goods under the brand name FERI. Jewelry has been the most precious commodity known to man for the past 3000 years, still is today and will be 3000 years from now. There will never be a replacement for precious stones or precious metals, hence the universal tradition of passing family jewelry down from generation to generation. Global Wealth Trade comes from a manufacturing heritage of over 125 years in high end jewelry. Reza Mesgarlou, Sean Haynes, Sh’aan Singh, Tammy Turgeon and Florencia Williams are 5 GWT Top Consultants working close together and their combined Income is over and estimated $1 million per year with a team of 8,000 people. 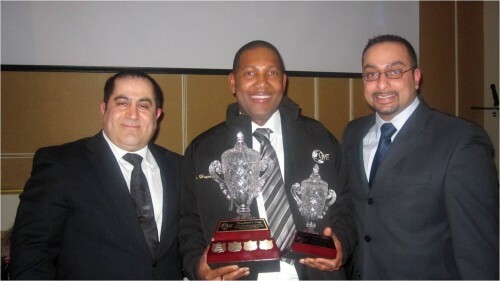 Reza Mesgarlou (Left on the picture) has over 20 years experience in the Direct Selling industry. 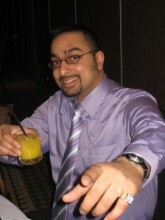 Reza joined Global Wealth Trade in 2005 but did nothing with the business for over 3 years. He decided he needed to get out of Government Manager job in 2008 so he could have time freedom with his children. He took a good look at his GWT business that had grown for over 3 years without any effort on his part to almost 3,000 members and $7.5 Million in volume. When he realized 2/3rds of the work to become a Millionaire had been done for him he started working aggressively part time building this business. In 6 months he had doubled his government manager income and retired from his job and helped 4 others retire. He is the Top Five Figure monthly income earner in the entire company making more in a month than some people do in a year. He earned a $Million in 27 months and is the first seven figure annual income earner in the company Reza has won the companies Presidents Cup the highest award in the company, is one of eight members to sit on the CEO Advisory Council and is a company Shareholder. His business today has grown to 8,000+ consultants and made him the first millionaire in Global Wealth Trade and one of the top 250 earners in the world of direct sales. Sean Haynes was sponsored by Reza Mesgarlou. He joined Global Wealth Trade (GWT) in 2007 having come from a banking background having been the youngest manager in his department. When he saw GWT he already knew from seeing portfolios of up to $400 Million that all truly wealthy people got that way from owning their own business. He understood the numbers behind designer products were very lucrative and that high end gold and silver jewelry would also make a great asset to pass on to his sons. He also saw that he could make his sons financially free for life. He is a Top 10 Income Earner in the company having earned a Five Figure monthly income in the company since 2009 and is also an annual six figure income earner. Sean is one of the top 6000 income earners in the world of Direct Sales. 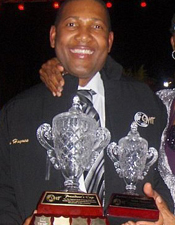 Sean has won the Presidents Cup Award the highest award in the company, he was member of the Month for June 2009, one of eight members of the CEO Advisory Council and a Shareholder of Global Wealth Trade and led the first non North America launch of Global Wealth Trade to the Caribbean where the business had grown to 23 islands in 2 years. Sh’aan Singh was sponsored by Reza Mesgarlou. Sh’aan is a testimony to what can happen when you become coach-able and willing to apply what you learn. With no prior experience this former valet operator joined GWT Corp in August 2008 at age 24 and has accomplished a rarity. Sh’aan qualified for his first commission cheque in his very first week and continued to qualify for weekly cheques every week since and in fact it will be 3 years straight in August 2011 he has never missed a checque.. 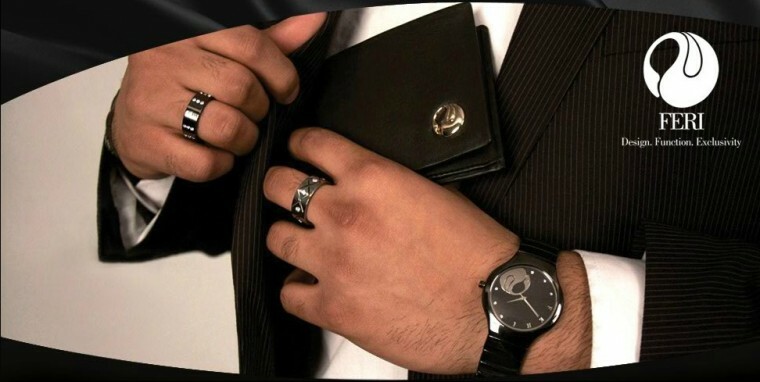 The 27 year old Sh’aan Singh went on to retire after 7 ½ months from his valet job and has now gone on to buy a black Audi and has a business growing in 20 countries around the world and has gone on to be one of the top 6000 income Earners in the world of Direct Sales and is on track to be a GWT Millionaire before the age of 30. Sh’aan is an award winner with GWT, luxury consultant of the month for February 2009 and a shareholder of Global Wealth Trade. Tammy Turgeon was sponsored by Sh’aan Singh. She joined Global Wealth Trade in 2009 at the age of 22 and the first person she introduced was her then boyfriend Kurtis Boudreau who was also 22 and they have built the business together ever since. They knew that this was an opportunity that could let them retire young and retire rich to live life on their terms and make all their dreams come true.Tammy and Kurtis from day one had a vision to open the Montreal French market and took massive action to translate all the GWT material to French and launch the French market for GWT in Montreal and create the biggest pre launch in GWT history. They also were responsible for the first simultaneous web cam live broadcast of a live Bootcamp to St. Maarten, Haiti and Boston from that first live French Bootcamp in Montreal. Tammy went from university to retired at age 24 through GWT and will never need a traditional job and plans are on track for Kurtis to be retired from his job at age 25. Tammy and Kurtis were leadership award winners at Global Wealth Trade 2011 World Convention, were also luxury consultants of the month in January 2011 and March 2009 and Tammy is also proud to be the first French GWT Official Trainer. Through the SAC program of GWT Kurtis was able to propose to Tammy at World Convention 2011 with a 21 Karat Gold 59 Diamond Ultra Prestige FERI MOSH ring. Florencia Williams shown here with her upline business partner Sean Haynes with whom she has worked from day one has built a Caribbean empire of taking GWT to 23 islands in 2 years. 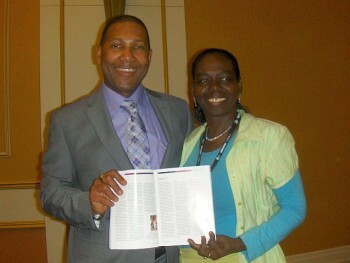 She became the first woman from the Caribbean featured in the issue of Networking Times she is holding in the picture for the Rising Economic Power of Women. Florencia was running a daycare in St. Maarten and also is a Pastor who saw the vision of what GWT could do for people across the Caribbean to set people financially free in the region when she joined GWT at end of April 2009. She immediately began introducing everyone she knew to her new business. Florencia began earning income in her very first week in GWT as she started conducting daily tours. In her second week in the business Florencia also started conducting weekly phone tours for her friends and family in other Caribbean islands. “We simply plugged Florencia and her team in to the GWT system for training and duplication”, says Sean. From there her business exploded with her earning a substantial $4 figure income and being luxury consultant of the month in May 2009 and again in August 2009 and eventually becoming a monthly five figure earner and having months where she made more than most people make in a year in St. Maarten. She is one of the Top 6000 Income Earners in the world of Direct Sales. She is the award winner for the fastest growing organization in GWT for her team known as the Caribbean Explosion now with over 1200 Luxury Consultants. St. Maarten is now home to one of the companies 4 international offices and showrooms.